One of the most surprising and intriguing debuts of 2012 was Khonsu’s Anomalia. The progressive project flirts with spacey, industrialized black metal that sounds like it’s written by a composer gone mad, looking to the stars to seek his sanity. In reality, the mastermind behind the band is S. Grønbech, brother of Arnt Grønbech of Keep of Kalessin. While his brother started his metal career at an early age, the more reclusive S. waited in silence, honing his skills before unleashing it in a torrent of undeniable talent. And the Traveller EP is a project in and of itself. As it features really only one new song, it’s more of a showcase of what the band is capable of, made to satiate the salivating fans looking forward to the sophomore full-length. We’re welcomed beyond the stratosphere by a series of robotic voices, then rocketed into “Ix”, a reworking of a track the brothers wrote for KoK 11 years ago. It rips through intricate, fast paced palm mutes and an ever-present layer of ethereal synths that remind that the darkness of space is never far-off as we speed through the void, only to be given a sharp, unexpected turn. “Army of Me” continues in much the same pummeling fashion, until the uncharacteristic lyrics make you realize it’s actually an incredibly well-executed Bjork cover. They take the 20 year old hit from the Icelandic goddess and disfigure it beyond recognition into an ethereal death jam, seeping with nuance and energy. But for all the greatness of the previous reworked songs, it’s the original that stands out the most. “Visions of Nehaya” is the highlight of the EP and worth the price of the journey despite its short runtime. It cycles through just about every form of extreme metal, hitting hyperspace with its insane tempo and fast-paced bludgeoning. Then, the terminus is reached at “The Malady”, a full-on electronic remix of the song from Khonsu’s debut, slowed down but filled with an infectious pulse that lulls you into a hypnotic state. Although the release doesn’t offer much in the way of truly new music, it shows just how dynamic the Grønbech brothers are. 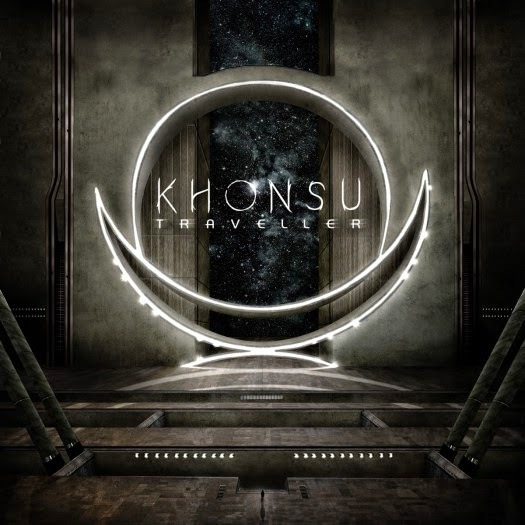 Unafraid to flaunt their influences and experiment with a surprising cover and intriguing remix, Khonsu are slowly but surely proving to be one of the more interesting Norwegian bands to recently join the scene. It’s clear this out-there EP is testing the waters for an even more experimental and intriguing future.